Tamannaah looked happy after offering prayers and seemed to be in a relaxed frame of mind. It is no secret that the lovely Tamannaah Bhatia is one of the most talented and popular stars in the Southern film industry. During her reasonably successful career, the ‘Milky Beauty’ has won the love of moviegoers courtesy her charming personality, top-notch style game, sincere performances and of course warm nature. 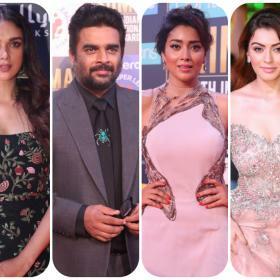 Furthermore, over the years, she has worked with some of the industry’s biggest names—right from Vijay to Prabhas—and proved that she is an A-lister in the purest sense. Now, here is some good news for her fans. As it so happens, a photo of the actor is creating a buzz on the social media and that too, for all the right reasons. 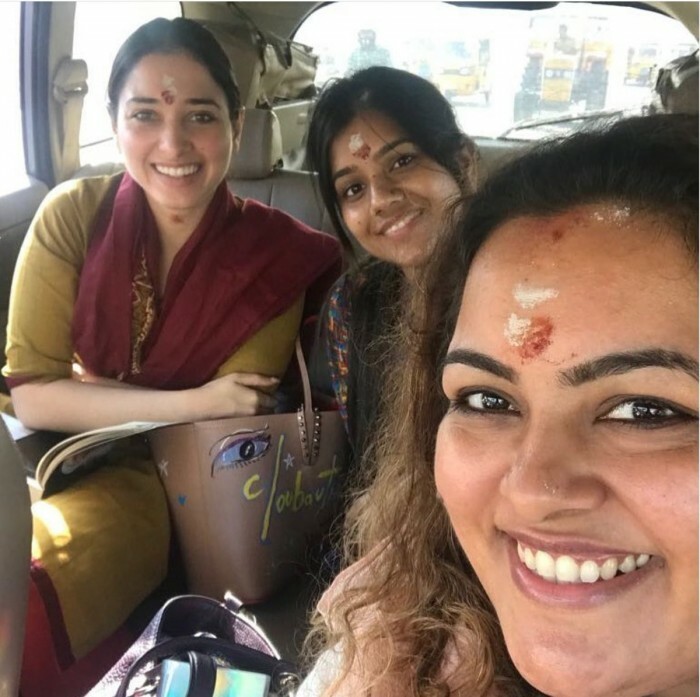 In it, she can be seen with some acquaintances shortly after offering prayers at the Meenakshi Amman temple in Madurai. And, as expected, she seems to be quite happy. We are sure that this must have been a tranquilising experience for her . Sometime ago, she had said that the remake would do justice the original. As far as Naa Nuvve is concerned, it is a romantic musical and also has Kalyan Ram in the lead. Thought kajal was playing the role.